So, you’re tired of shared host due to slow speed, unexpected downtimes, and facing system resources limitation notifications from your current hosting service? Are you looking for the best VPS hosting? If so, then keep reading, this post will surely help you find the perfect one. Various types of web hosting are out there such as shared, VPS, dedicated, and managed WordPress as well as cloud hosting which should be chosen based on your needs. The most common type is shared and it is the basic one as well. Most of the internet marketers and bloggers start their website/blog by purchasing a shared web hosting account rather than dedicated or VPS server. As it’s cost effective and you don’t have to pay much money. But you need to upgrade to higher plans as your website grows with time. Then the question arises, Which should be the one I have to purchase? VPS or dedicated? 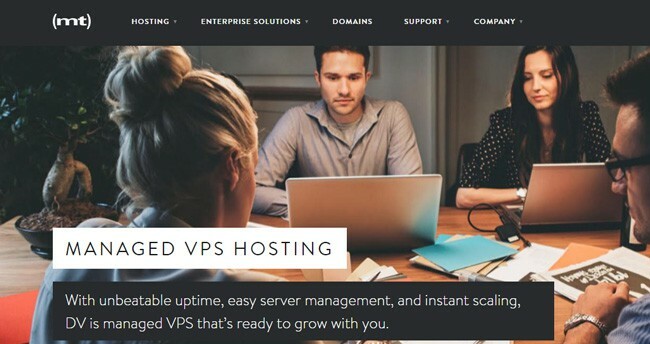 Well, in this article not only will help you find the best VPS hosting provider, but you will also get a brief guide on Virtual Private Server hosting. I know finding the good VPS web hosting is our core topic. But still, I think describing briefly about it is relevant here. 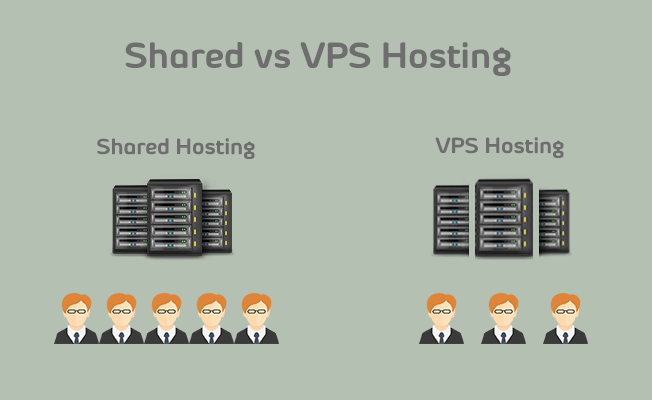 VPS hosting is an intermediary type between shared and dedicated. You will get dedicated hardware configurations (but not by a significant margin) for the plan at a low price. In other words, you get a virtually separate CPU with dedicated ram, storage, and system resources. The entire vps server also shared with other users. WebHostinSecretsRevealed defines it with a simple formula. Yeah! It is similar to shared hosting in the sense that multiple consumers are using one server. But VPS closely resembles to dedicated servers by the exclusive resources it provides to the users. Unlike in shared hosting, VPS customers get root access and virtual web space isolation for complete control. I hope now you are familiar with the idea of shared hosts, aren’t you? Users on a shared account host their website on a server that is being used by others. Entire hardware including RAM and space shared between all users. Your site will surely suffocate if any of the users surpass resource usage constraint. Let’s say the server has only 8 GB RAM. One of the sites in that server gets massive traffic that bandwidth goes beyond the limit. Then, 8 GB of RAM will not be sufficient for even that particular site’s traffic. Obviously, your site will go down due to lack of system resources. But, to handle this situation, shared hosting providers use scripts to balance server load which helps them to maintain other site’s resources. This balancing script restricts the resources of a high traffic website. On contrary to this, VPS server hosting never goes down owing to other users activities. Though you are not the only person who uses the server resources, the hardware is set exclusive to you. For those of you, having no significant budget to purchase a dedicated server can get incredible benefit from VPS server by spending a little amount of money compared to dedicated. There are many cheap VPS hosting services which offer an outstanding and fantastic service at a reasonable price. You can take great benefits without spending a lot of money by choosing those cheap vps hosts. With that being said, let’s proceed onward to the real meat of this post. Have you heard of InMotion Hosting? I bet you have. They have been serving tens of thousands of customers since long and having pretty decent track record overall. 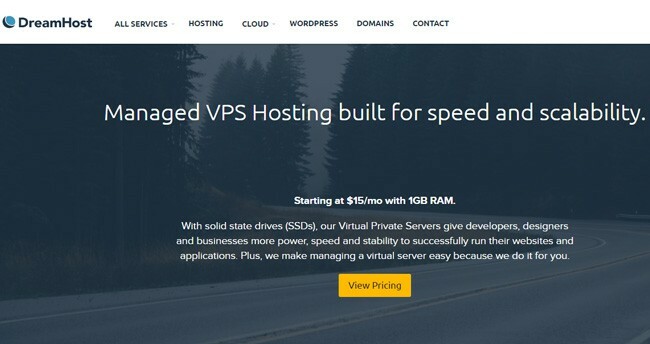 If you are a person who wants to upgrade your site from shared hosting, I recommend purchasing this one as it is best managed VPS hosting out there. You will not feel the pain to set everything right to become functional as InMotion staff will setup everything. You will get a free cPanel license with every purchase. So digging deep into the internals of your site is not going to worry you. All the sites hosted on InMotion VPS are stored in SSDs to make your site lightning fast. The backups are taken without your demand, and they provide the same for free. Moreover, you will not be locked down to use only a limited number of CPU cores. Every plan comes with at least twice dedicated IPs for the customers. They have three plans with the difference in price and features. You can buy one based on your needs. BlueHost is the most famous among WordPress users and officially recommended by WordPress.org to create websites powered by WP CMS. Along with all other types of plans such as shared, dedicated, managed WordPress, and cloud web hosting. They also provide a glitch-free cheap VPS hosting as well. The plans start from $14.99 per month with 2 GB RAM and 1 TB bandwidth. The best thing about Bluehost VPS is it is on the cloud so the upgrading can be done on the fly without adversely affecting the site. Just like other top VPS providers, I shared above; Bluehost also takes the responsibility of managing your site. If you are a Bluehost shared plan user, transfer to VPS will not let your site go down. Bluehost uses Linux CentOS, and you will not face any issue to access root. You’ll get a couple of IPs with higher plans if you want. And, you can reach out to their extremely responsive customer care team anytime to solve your problems. For more in-depth information read this Bluehost review. DreamHost is another pioneer in the web hosting business with a service of the book of loads of experience. They offer shared, dedicated, WordPress and VPS hosting as well. Their pricing package is somewhat similar to InMotion, which starts from $15 per month. The unlimited bandwidth attracts everyone who wants to scale up their business by optimizing the website for massive traffic. As long as you allow DreamHost’s unlimited policies, you will not face any issues no matter how much eyeballs go through the web pages. Though the basic plan has only 1 GB of RAM, you can upgrade to more memory whenever you want without facing any downtime. SSDs are the best storage devices with excellent speed. That’s why DreamHost provides SSD VPS servers. DreamHost VPS service is highly recommended for people with multiple sites as it allows unlimited domain hosting. Windows is an impossible OS choice here as well because DH has Linux (Ubuntu) only. The pricing is on the expensive side as DreamHost provides only 1 GB RAM and 30 GB storage for $15 whereas InMotion offers 4 GB and 60 GB respectively for the same price. All the best VPS comparison I shared above fail to satisfy a person looking for Windows based VPS hosting. If you are one of them, you might already become disappointed on seeing those. Trust me! InterServer is not the same. It has multiple OS choices including CentOS, Ubuntu, Windows and a lot more. Interserver offers a free site migration if you are coming from another host. The server will be deployed within 15 minutes so that, you can start the entrepreneurial journey without waiting. You can choose from cPanel and Direct Admin as control panels for Linux VPS. Unfortunately, they don’t provide a control panel with Windows hosting. The monthly payment option is available. Means, you can cancel the plan whenever you feel like doing it. The best thing about Interserver is you can order backups and manage snapshots to take the complete charge of your site. Updates do not reboot your server so that your web property won’t go offline. Redundant storage helps you survive whenever an excessive increase in traffic happens. Media Temple VPS is for those who are ready to shell out big bucks for the best features and choices. If the budget constraint is not pulling you back, I recommend going with MT because of its fantastic multiple options. Are you a hosting geek who wants the advanced level of control over your hosting space? Then, you must buy the self-managed hosting from Media Temple. You will manage everything from the command line. Oops! You are a beginner or intermediate user having no idea how to handle a server using the command line? Well, go for the MediaTemple’s managed plans then. They have both self-managed (unmanaged) and managed VPS hosting to fulfill each user’s need. Though they have Linux hosting only, you will get four OS choices for self-managed VPS; Ubuntu, Debian, Fedora, and CentOS. Isn’t that awesome? Talking about managed one, you have a choice to choose both cPanel and OS under one option. The OS options are not vivid here, but the cPanels are (Odin Plesk and cPanel along with CentOS 6 & 7). The bandwidth is unmetered there that you won’t face problems with an increase in traffic. Even if you face any issue, their 24/7 responsive customer support team will solve it right away soon after you reach out to them. They have six levels of plans that the highest one offers a whopping 64 GB of RAM and 600 GB storage space. May seem expensive. But considering the incredible OS choices and features, it is not really on the costliest side. LiquidWeb has created a steady customer base through their impeccable service and support as well as the best vps host. They have a broad range of web services lined up on their site. But I will be talking only about VPS here. All the LiquidWeb VPS plans are fully-managed so you won’t have to get your hands dirty by going through complicated developing stuff. They have five plans; each of them varies in RAM, storage, and features which are named after the memory capacity. Barring the basic package, you will get a free domain and Secure Socket Layer (SSL) certificate with all the VPS packages. The SSL certificates are only given upon request. To ease your job, they have got the cPanel. And, real-time monitoring can be done using that. So you can get to know the cause of errors if any. The daily billing facility is the best feature because you can cancel their service anytime you want without the fear of losing your money. If they had monthly or annual billing only, you would have waited for the end of the period. 1&1 is renowned for domains than web hosting. But yeah, it has a top VPS hosting service as well. The best part of going with this provider is the universality itself. You can satisfy all your web needs under the roof of 1&1. Though the default OS is Linux, you have the option to choose between different versions of Linux (Ubuntu, CentOS, Debian, and OpenSUSE) as well as Windows. Have you ever thought of getting VPS web hosting for the price of shared hosting? Yeah, 1&1 offers cheap VPS that you can purchase for only $5/month. But you must sacrifice on features like storage, bandwidth, and RAM to go with the cheapest vps plan. They have an automatic site backup in every 14 days. If you think it’s too long, you need to grab a plugin and backup manually. The support team is awake 24/7 to help you out of any issues. You can reach out to them via phone or email. You can monitor server within your web browser to check the status such as server load, memory usage, and traffic, etc. It also allows you to automate some program launches as 1&1 supports cron jobs or scheduled tasks. Additional services like Norton Antivirus and Microsoft Exchange are available but as optional. Cheapest VPS in the lot. GreenGeek is another top-rated virtual private server provider where you can grab hosting plans as per your requirement. But it has got a unique feature here that not a single VPS provider can claim of. All the servers are running entirely on renewable energy. That’s what the name indicates, right? They have five VPS packages ranging from $40 to $160. And, each of them has different features; be it RAM, storage or bandwidth. You will get SSD raid storage with every plan. Being the fastest storage device, it can boost your site’s loading speed way faster than the traditional storage. The fully managed VPS slices won’t give you headaches of server setup. And, the accounts you get have either cPanel or WHMS preinstalled to make the controlling easier. If you are the customer of some other web hosting company and want to give Greengeeks a try, they will assist you in the migration. The impressive feature of this web host is its quick provision time. According to the company’s claim, you will not have to wait for more than 60 seconds after the verification to use the servers. To prevent you from any inconvenience site backups are taken in the night for FREE. And, the security is at its best with CSF, firewall, LFD, mod along with a lot of other Apache configurations. No matter what kind of user you’re either Linux or Windows, AccuWebHosting offers all type of web hosting solutions to fulfill everyone’s’ needs. The company has one of the latest and state-of-the-art hosting infrastructure built on modern technologies and advanced system hardware. From individuals to enterprises, beginners to experienced developers, there is a broad range of products for all. When it comes to VPS hosting, AccuWebHosting provides Windows VPS, cloud Windows VPS, Linux servers, Linux cloud servers, and SSD VPS. There is also Forex Trading virtual private servers available as well. Besides that, if you’re possessed with highest possible loading speeds, then SSD powered virtual servers also available for both Linux and Windows operating system packed with full root access. You can start playing with your virtual server as low as $7.99 per month which is powered by Xeon processor, ideal for WordPress CMS, and holds 1GB dedicated RAM, 20GB Raid 10 disk space, 150GB monthly data transfer, 1 dedicated IP address, and various free control panels. Weekly backups also included at no extra fees. All of their servers has 1Gbps network connectivity. Because it’s a self-managed VPS web hosting, so you’ll have to maintain everything by yourself. For managed and more advanced VPS servers, cloud and fully managed SSD hosting also available starting from $15/mo and $12/month respectively. Both plans hold robust features and better performance compared to classic un-managed hosting. The basic managed VPS SSD plan packs 2 CPU cores, 100GB extra bandwidth, and much more. You can also install the cPanel or Plesk control panel; however, both are served as add-ons. 7 days money back guarantee and round the clock customer always there to resolve your issues within no time. I know many pro-bloggers who have been using A Small Orange since long that is why I listed it here. The reason is simple; ASO is reliable and knows the industry very well. You need to make your mind choose between two types of plans; cloud and conventional (cPanel). I have already explained what a regular VPS hosting is. You get a part inside a server as a virtual user, which is completely under control. But the cloud-based VPS, on the other hand, is similar to conventional in function, but it draws resources from many servers. Apparently, the cloud-based VPS server has an edge over the conventional one. ASO has a premium level of hardware placed in the top-notch data centers all over the world. You will get full root access, and if anything turns out to be wrong, their responsive support team helps you anytime. Though they offer virtual server hosting with cPanel (cost separately) but you might face some troubles while contacting the support The scalability of ASO will make you say wow because you can upgrade or downgrade the resources anytime you want. A Small Orange has got exciting news for you. They won’t charge you for the first two months. How awesome is that?? Moreover, you will get a free top-level domain for one year! Easy to cancel the service anytime you want without losing money. Well, I have shared some of the top VPS server providers, you might still face the confusion of choosing the good one for you. Am I right? There are a bunch of hosts who claim that they are the best and take care of your sites as they can. But how to know which one is best? Before buying the long term plan from a new host, try it for a month or at least a weak. In 30 days I am sure you’ll figure out whether the new host worth money or not. 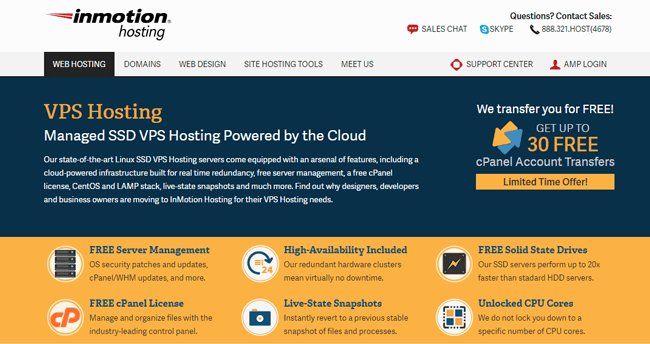 InMotion VPS and MediaTemple are the most recommended companies. I suggest you should check the features of other companies mentioned above and pick the right one for you or feel free to buy from the recommended services. That’s all. You have got the spec sheet of some great VPS hosting companies. What do you think? Which one will you choose? I want you to consider a few things before you make a purchase decision. So these are the criteria you must keep in mind before making any decision when it comes to choosing the best VPS hosting.